Hearts’ owner Ann Budge has been awarded the SPFL Chief Executive Officer of the Year at the 2018 Football Business Awards in London. Budge was short-listed for the overall fcbusiness CEO of the Year prize but lost out to Accrington Stanley’s Andy Holt. 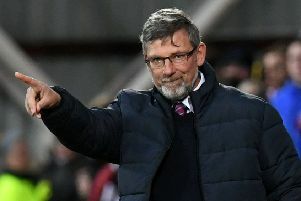 The Hearts boss was included after an impressive period in charge of the Tynecastle side, which has seen the club build a new main stand and impressively rebuild the playing staff over the summer. The top CEO from each league in Britain was nominated by a panel at fcbusiness for their leadership during the 2017/18 season. Following the announcement of the shortlist, the fcbusiness editor and Football Business Awards judge, Aaron Gourley, said: “The CEO of the Year is one of the most prized in football. Through their hard work and dedication, each of the nominees has led their respective clubs to achieve outstanding performances both on and off the pitch.